Cloud-based enterprise video conferencing and calling service, StarLeaf, has raised $40 million in funding from Highland Europe, Grafton Capital, and the founders. Headquartered in Watford, United Kingdom, the company was founded in Cambridge, United Kingdom in 2008 by three veteran telecoms and video conferencing entrepreneurs and Cambridge graduates: William MacDonald, Chief Technology Officer, Mark Loney, Chief Executive Officer and Mark Richer, Executive Chairman. This is the fourth networking technology company that the trio have built, having worked together at Madge Networks (Local Area Networking, floated on NASDAQ in 1993); Calista, (VOIP interoperability, sold to Cisco in 1999 for $55m) and Codian (on-premise video bridging with interoperability, sold to Tandberg in 2007 for $270m). The startup will use the latest funds to accelerate growth in its existing markets — in Europe and North America — and expand to Asia Pacific. The company claims that its global network of channel partners currently sell into 50 countries worldwide. The company claims that its engineering team has ensured that no matter what the endpoint, whether it be Cisco, Polycom, Lifesize, StarLeaf or others in the meeting room; or Skype for Business, StarLeaf Breeze or others on the desktop; and no matter what the video conferencing service they are dialing into for a scheduled meeting, be it BlueJeans, Zoom or StarLeaf’s own; or what the endpoint they are calling on an ad hoc basis, a video call via the StarLeaf cloud “just works”. 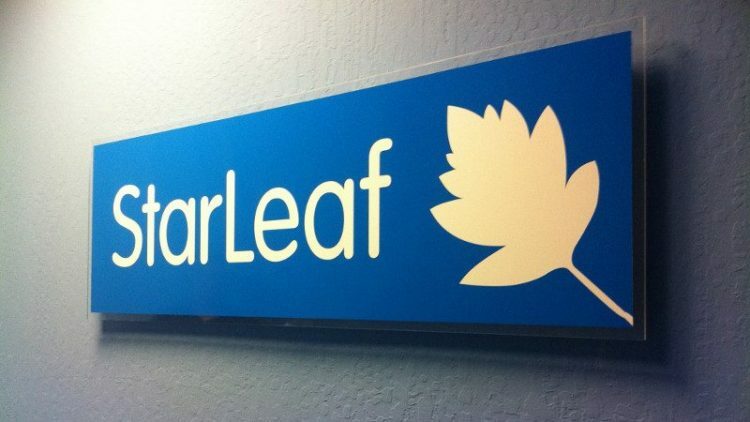 The last two years, according to the company, have seen rapid growth, especially in the enterprise segment, where StarLeaf signed up 150 new clients with 1,000 employees or more in 2016, vs 65 in 2015. The company has also doubled up its number of employees in the last 18 months to 130, and is further looking to double again in the 18 months ahead. Oliver Thomas, Partner and co-founder at Grafton Capital, will also become a non-executive director of StarLeaf.